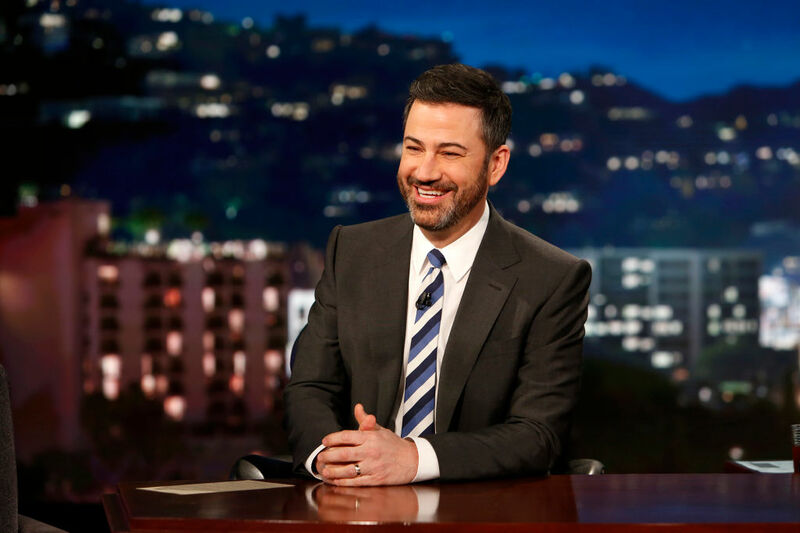 Late night host Jimmy Kimmel has been increasingly rising in popularity thanks to his emotional, yet informed monologues on health care and gun reform, and financially it’s also paying off for the star. Celebrity Net Worth reports that Kimmel has a net worth of $35 million, and while this is mostly thanks to his late-night gig Jimmy Kimmel Live he’s also hosted the Oscars and produced several shows. Annually, Kimmel allegedly earns $15 million from his late night show making him one of the top four highest paid late night hosts, tying for second place with Stephen Colbert. And while he trails his rival Jimmy Fallon in terms of annual salary, (Fallon makes $16 million making him the highest paid late night star), Kimmel is seeing a rise in his audience amongst Fallon’s 31% decrease this past season. According to Hollywood Reporter Kimmel’s viewership is up 9% this past season and up 4% amongst adults aged 18-49. According to Money, Kimmel is getting $15,000 for hosting this year’s Oscars. He stirred up some controversy for telling ABC News on Thursday that he wouldn’t be addressing #MeToo at the awards show because it’s not about “reliving people’s sexual assault.” He has since changed his mind, telling Vanity Fair that he does have comedy bits prepared addressing the sexual assault reckoning. We’re curious to see how Kimmel’s hosting performance will line up compared to last year, and wish him the best of luck.